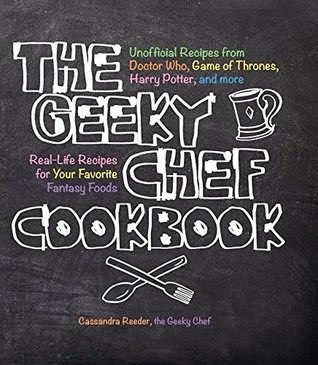 I'm super excited to present Geeky Chef's first submission post! This recipe was created by Alex Muensch (thank you, Alex!) and it was submitted just in time for the release of the new Hobbit movie based on the book by Tolkien. In The Hobbit, these cakes were made for Bilbo and the rest of the crew by the bear shapeshifter Beorn. The recipe is mostly a secret, except that everyone knows it contains honey like most of the foods Beornings eat. You know, cuz they're bears and bears eat honey... Anyway. Beornings are known throughout Middle-Earth for their wonderful baking skills, but especially for their honey-cakes, which are almost as filling as Lembas Bread. However, they are supposed to make you very thirsty. Alex's recipe is delicious and full of honey flavor and sweet enough to make you really want a drink; It would make any Beorning proud. I know I'm going to make this and bring it with me when I see The Hobbit! I suggest you do the same. Preheat oven to 325 F. Grease a 8 or 9 inch cake pan. Beat eggs in a mixing bowl until thick. Add the honey and vanilla, mix well. Combine the flour, baking powder, baking soda, and salt in another bowl. In three parts, add the dry mixture alternately with the cream to the egg mixture, beginning and ending with the dry mixture. Mix each addition well. Pour batter into pan. Bake for 30-40 minutes or until a toothpick inserted in center comes out clean. Let cool. To make the frosting, mix butter and sugar until creamed. Add vanilla, honey, and whipping cream and mix. Lastly, stir in walnuts. Spread the finished frosting on top of the cake once it is cooled. LotR fangirl here... This sounds soooooo gooood! Doesn't it?! Nothing wrong with fangirling over something as awesome as Tolkien's work! Where has this been all my life? I was just reading The Hobbit and thinking, "I really want that honey-cake right now." HERE IT IS. Yay! That right there is exactly why I made this blog. I hope it's just how you imagined! Well... it's now my time to do the fangirl dance. Thank you soooo much for this ! No problem! Thank Alex, he/she submitted this wonderful recipe. Also, I love it when fangirls dance, you go on with your bad self! Carry on the good work. I love that cake, my mom has always been making something very similar. You know, I really want to do a GoT/ASoIaF food next, you may just get your wish. I was thinking lemon cakes, but all their meat dishes do sound delicious for us omnivores. I hope it all tasted as good as it smelled! Now you can travel beyond the safety of the Shire with a full belly! Thanks for the positive feedback! I wanted to make it as Beorn might have, i.e. using cream as the fat, since he likes it so much, although the chapter does mention him also having butter in the household. However, I didn't "twice bake" it as he does. :) Next time I make it I might lower the cream to 3/4 cup or so, as the honey has some water in it. Maybe also a cream cheese frosting next time? Alex, it's a totally awesome recipe, and I appreciate the thought you put into it. I'm sure any modifications you make will be great. Thank you so much for submitting it! As you can see by the comments, everyone is loving it. Hm, I might try twice baking it, just to see how that would taste! So I made this exactly how the recipe stated, except for making double the icing. My husband has now informed me that he wants this ever Christmas, every Thanksgiving, every birthday and every weekend in between. I feel I should also mention that he ate a little more than half of the cake in the first day. Oh my!! That is the best news! I'm so thankful to Alex (the person who created the recipe) for submitting this and sharing it with the world! 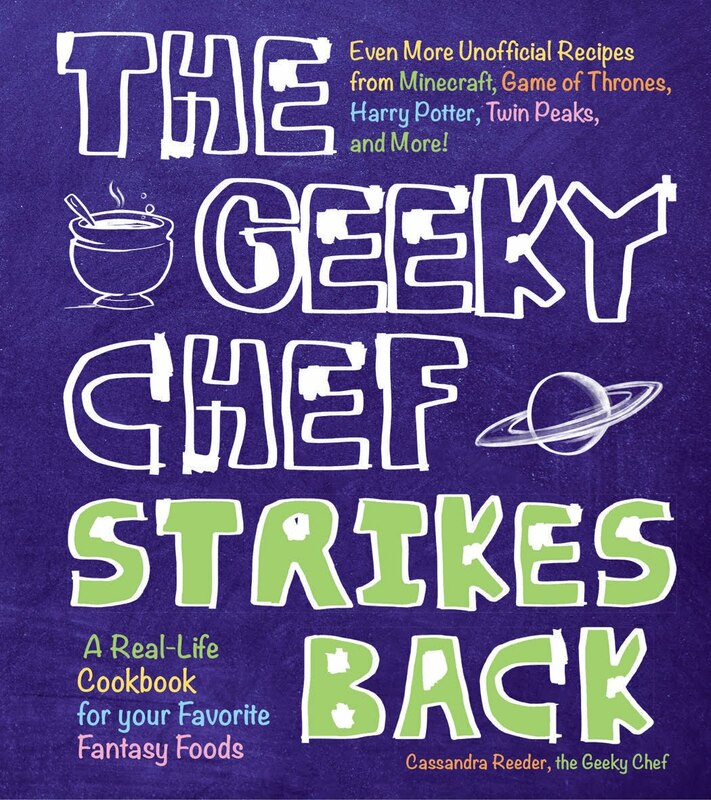 Creating traditions, that's what we do here at Geeky Chef... nerdy fantasy/sci-fi traditions (which are the best kind). Has anyone tried this with alternative flours? It just... it seems unlikely to me that a Beorning would use a grain that requires such heavy amounts of cultivation and land dedication and would also make his sheep and ponies stomachs explode from expansion if they ever got into it. Besides flour based cakes don't keep super well, and you'd be fighting the naturally fluffy tendency of them. I'll probably be trying the recipe as is and using cornbread pans tonight to make small cakes. But I'd love to maybe try it with half cornmeal next time. I'm sure whole grain flour or cornmeal would work too! Let us know how that goes. I can gladly say this cake recipe works with very little adjustment at high altitude. Congratulations - it tastes amazing and it's easy to make, too! At about 7000 feet, we used 1/8t less leavening, and 2T more flour, and it came out gloriously sweet and with a nice, soft-dense texture. Next time I make this, I want to try cutting layers and filling it with jam - current or chokecherry, of course, to make a bear proud! Sounds delicious! Glad you were able to make it work at high altitude! I am a long time fan of this site and have loved nearly every recipe put up but this by far might surpass the pan galatic gargle blaster! I made this recipe already and everyone that has tasted the cake says it is amazing. I did change just one thing about it I put strawberry halves around the outer top part of the cake and honestly the tartness of the strawberries compliments the sweetness of the honey in this recipe! I think I'll just make this all the time for family gatherings and holidays thank you SOOOOOOOOOOOOOOo much for putting this up! Thank you! You've made my day. I can't take credit for this recipe, but I'm proud to have it on the site thanks to its creator Alex! Μerry Christmas! Have fun and eat well! This turned out very, very, very good. Served it with fresh whipped cream (leftover heavy whip from the recipe) and mixed berries. People went completely nuts over this. Sounds delicious! Glad your people liked it! Alex makes a mean cake. Just found your blog. What a fun idea! I am sad to see nothing from Star Wars... sniff sniff. I really want to give Beorn's cake a try. It would be my first time baking — ever! My friends and I are having a marathon this Monday and I'm in charge of making Lembas bread, Cram, and Beorn's Honey Cake. 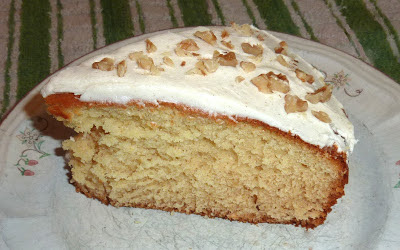 Just made this honey cake last night and omg, this is one of the most delicious cakes ive ever made. Thank you for the recipe! Delicious! This is officially my birthday cake. You know how people have the sweet they always want for their birthday? Some people it's pie, some it's chocolate cake. For me, it's Beorn's honey cake. Because it's soooooo gooooood. *drool* I'll just go now. So good! This was a very yummy cake, the kids liked it too. I'm glad I read the other reviews before I made it. I split the batter between a 9x13 glass baking dish, and a smaller one. It worked well, because the cake really rises! I only had to bake them together for 40 minutes and it was perfectly cooked. I've made this twice already; once for my husband (loves it with coffee) and once for a gathering of like-minded fantasy lovers. So incredibly easy to make. If the honey is a bit much, try substituting 1/3 of it with light brown sugar. Works very well.